This hotel in Bochum offers early/late breakfasts, a 24-hour bar and free Wi-Fi in all areas. 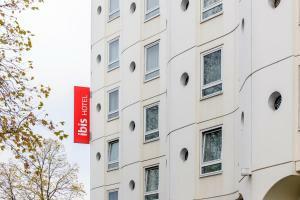 Ibis Bochum Zentrum is 200 metres from the main station and 800 metres from the city centre. The large rooms at the Ibis Bochum Zentrum all have air conditioning and a private bathroom with hairdryer. There is a free internet terminal in reception. The Ibis Bochum’s breakfast buffet is available from 04:00 until 12:00 every day. Snacks and drinks are available 24/7. The A40 motorway is less than 4 km away from the Ibis Bochum Zentrum. This leads to Essen, which is less than 20 km away, and also to the A43 motorway.